Imagine riding a bike that makes your legs feel like they have super strength. CrossCurrent Air allows you to ride uphill with extra energy. Find new adventure as you commute to work, school, or simply explore your city with additional speed. In addition to many top components that make you look forward to your next ride, the rechargeable battery draws particular attention as it blurs the visual line between an e-bike and a conventional bike. When you’re running ahead of time all too easily, your friends will see that something isn’t quite right there. 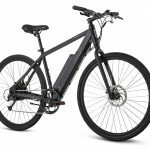 Juiced Bikes CrossCurrent AIR 500W Electric Bicycle is hands down the best value in the commuter e-bike category. 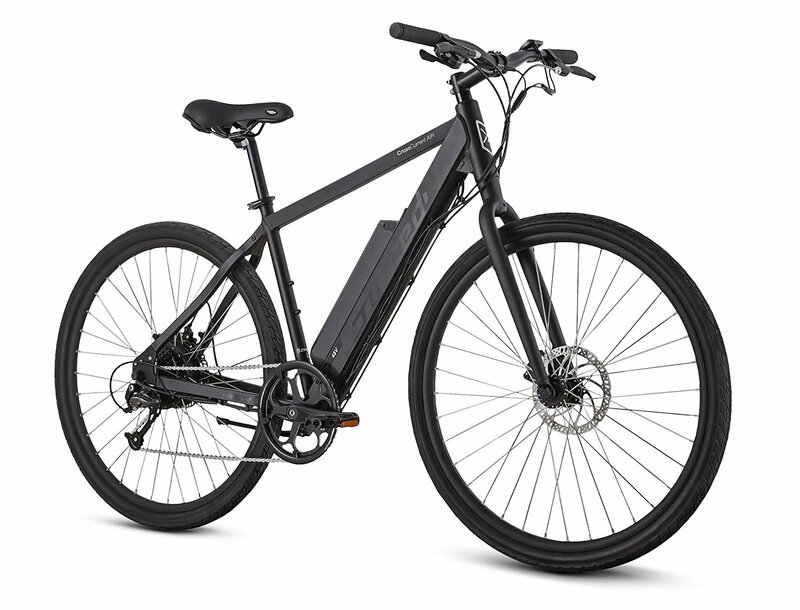 With a powerful 500W motor propelling you up to 28-mph and a selection of battery pack options providing real-life range from 37 miles (8.8Ah) to 100+ miles (21.0Ah). The CrossCurrent AIR 500W has everything you’ll need at a great price. Commuter accessories such as thumb-throttle and heavy-duty rear-mounted kickstand are included – with a variety of optional accessories available as well. The bike arrives 90% assembled and set-up is easy – you’ll be ready to ride in minutes. Great for a commuter. Cost effective and fast. 20 mph unassisted and around 27 mph assisted. I’m very happy with my purchase. I’m a sucker for the classic design and style of this bike. Performance has been fantastic and when I did have a minor issue, Juiced Bikes customer service came through. Five stars. the suspension, but honestly mine has been fine on my daily commute – both on bike trails and regular roads. I’m really happy with my choice and would suggest this bike to others as well.